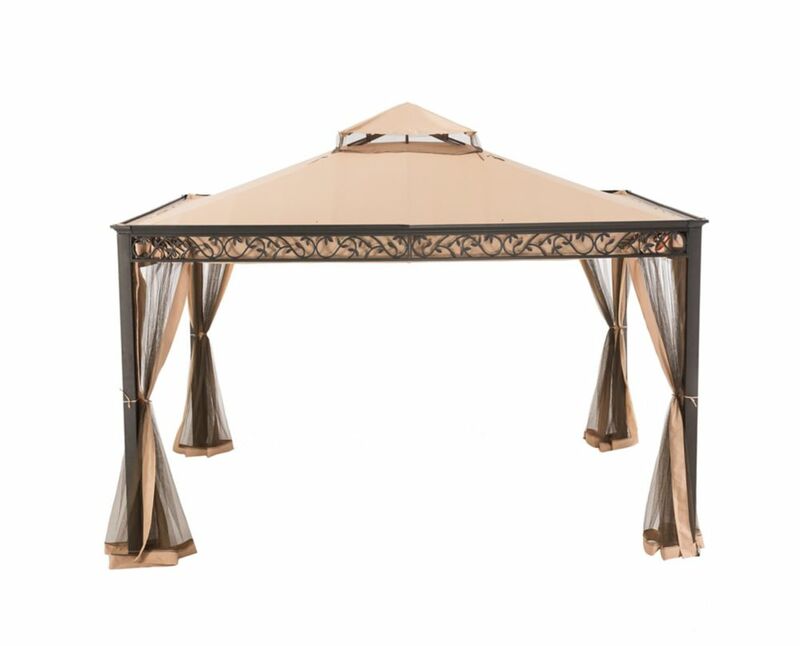 Create an intimate and inviting outdoor living space in your backyard, patio, or pool area with the addition of the stylish and functional Riana Gazebo. This gazebo features a decorative pattern of leaves and vines along the valance, a perfect complement to any outdoor space's decor. Riana 10 ft. x 12 ft. Gazebo with Vented Canopy Create an intimate and inviting outdoor living space in your backyard, patio, or pool area with the addition of the stylish and functional Riana Gazebo. This gazebo features a decorative pattern of leaves and vines along the valance, a perfect complement to any outdoor space's decor.